Winter 2019 Registrations are NOW open..
Registrations for the Winter 2019 Season are now open!! Registrations will close on Sunday 27th January 2019 at 5pm. There are limited places so register early to avoid appointment. Winter 2019 Junior and Senior Registration Form. Wednesday Night 2019 Competition Registration Form. ** If you have a Get in the Game Voucher you will need to contact our registrar Suzie before you register your player. 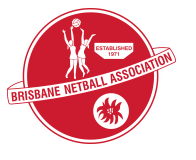 Suzie can be contacted via email rego.klnetball@gmail.com or on 0412 475 572. If you register and pay the full registration fees a refund cannot be given as this is against the Get in the Game Voucher rules. ** Grading Days – will be advertised soon. All players are required to attend grading. As we have a large number of players each season it is impossible for us to place players in the appropriate teams without being able to see all players at grading. For more information head to our website Kedron Lions Netball Club.